Dennis was there when the band formed in late 1999. He has been our Rock of Gibraltar ever since–all trombone, all the time. No vocals, no tamborine, no g[osh] da[rn] cowbell. Over the years the band has had to address needs and issues in all areas; upper brass, guitar, vocals, keyboards…but not on trombone. And that's chiefly due to Dennis, as bass tromboner Carl Gitchel plants the horn a lot of the time to sing. Dennis simply stands in and plays the part. And that gives the Horn Dawgs their unique brassy sound. He is one of our proud University of Wisconsin Marching Band Alumni. His time in band included the introduction of matching horns, including a group of large bore trombones. With these instruments–and yes, Dennis had one of them–the trombones were able to simply overpower the other voices in the band. Dennis refers to this era as the "trombone choir" years. The large bore trombones were taken out of service a few years later and never re-introduced. 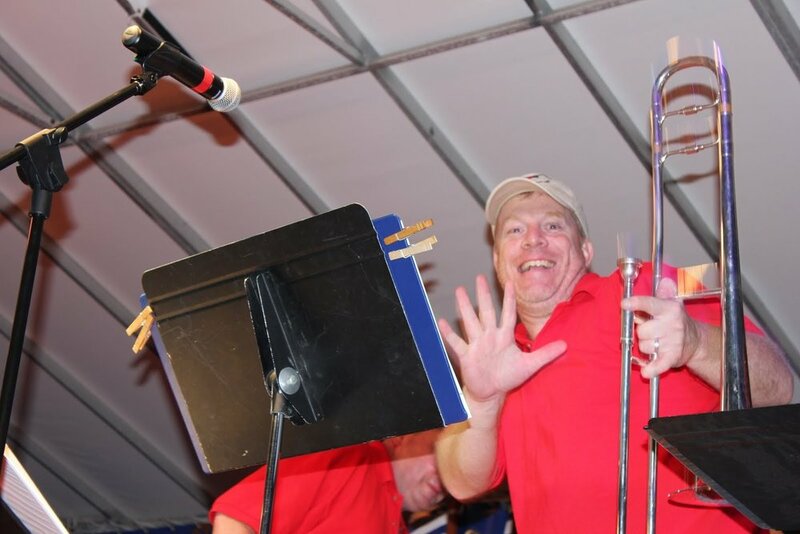 Although Dennis does very little singing (all in a background role,) he contributes to the show by stage moves with the trombone he brought in from his years in the Wisconsin Band. And he has the unique distinction of playing that most rare of roles–providing trombone solos in a rock-'n-roll band! 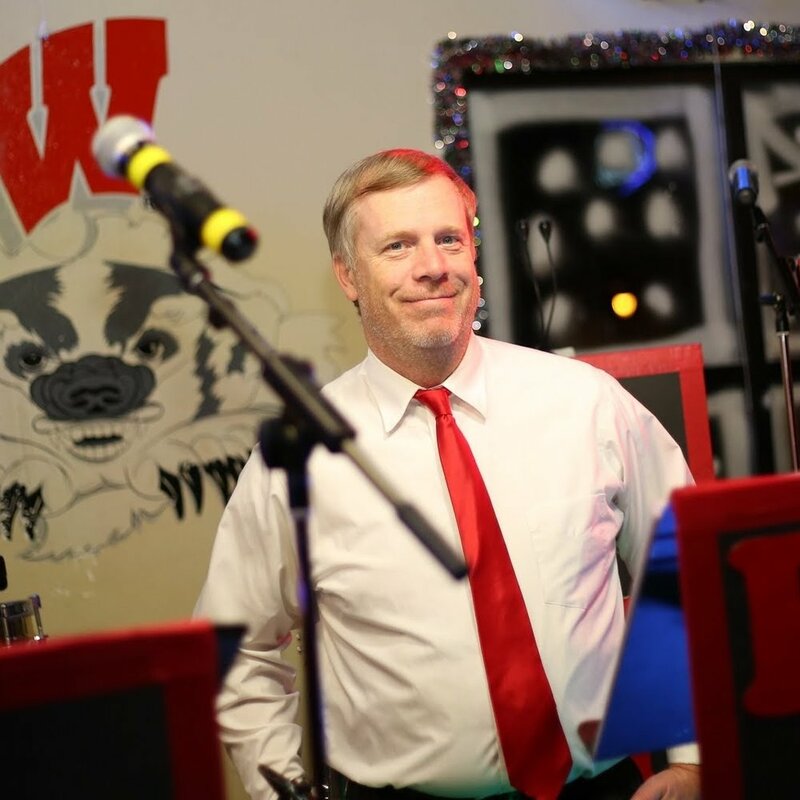 His musical interests also mirror what he blared out in his UW Band years. A little bit of everything, including a very little amount of Country! Swing, Jazz, Blues, Rock, Oldies–it's all good! Dennis enjoys multiple modes of transportation. Motorcycles and bicycles in warm weather, snowmobiles in cold weather. He plays hockey twice a week though he claims "no skating ability," or "sense of what to do with a puck." It is possible he simply wishes the group he plays in allowed body checking. By day he is a mild mannered Quasi-evil Scientist. He lives in rural Verona with his lovely wife and two boys.